Should I be worried if my toddler is scared of everything? Kids get scared of things from time to time, but what should we do if they’re scared all the time? Read on about one mom’s situation. My four-year-old daughter is extremely afraid of almost everything. She’s scared to put on clothes that go over her head, scared of water going over her face (I had to get her a type of cap that stops water from flowing down her face) and she gets scared if she can’t see my husband and me. As a result she’s stopped sleeping on her own and has barely touched her toys as she’ll only be in her room if we’re there. I'm not sure if this behaviour is normal and what I should be doing to help her get over her fears. We asked Lianna Morrison, an educational psychologist in Hermanus, to help answer some difficult questions about childhood fears. What do you do if your toddler is always afraid? While we as adults know there are no monsters under the bed, your toddler doesn’t. By acknowledging your child’s feelings and not ridiculing or exacerbating these feelings you’re helping them make sense of their experiences. Laughing at your child’s very real fear of clowns for example isn’t making them tougher but teaching them their feelings don’t have value in your eyes. Rather identify what’s causing your child’s distress and explain to them how it works. For example if your child is scared of a loud noise a machine makes explain to them this is how the machine works, that it’s normal for it to make this noise and therefore there’s no reason for concern. Remember that for young children so many experiences we as adults take for granted are new to them. As many of these experiences are unknown they’re often perceived as frightening until they’re explained and understood. Encouraging your child to gradually face their fears and praising their attempts to do so could help build your child’s belief in their abilities. How do you get to the root of the fear? We all have fears in one form or the other whether we’re four, 40 or 80. Being scared of the dark monsters under the bed and strangers are all common childhood fears, while heights, spiders or unemployment are fears we may experience as adults. In other words some fears are developmentally appropriate and others are as a result of our experiences, associations or temperament. In addition the role that parents (and other caregivers) play in the development (or not) of a child’s fears can be significant. If we’re anxious or fearful around our children they’ll learn the world is a fearful place and react accordingly. Parenting styles may also play a role in unwittingly encouraging a child’s fears as by giving too much attention to the fear-causing experience instead of strengthening the child’s coping abilities we’re teaching them they’re not strong enough to overcome their fear. Is this fear typical for my child’s age/developmental level? Is this the first time my child has encountered the feared object/experience? Do they understand what it is? Has my child had an experience recently where there was a real threat or danger? How do I as a parent/sibling react to my fears or fearful experiences? How do we as a family deal with our child’s fearful behaviours? Are we unwittingly encouraging the behaviour? Therapy can be helpful to a child and their parents when the fear interferes with daily activities and when parents feel they’re unable to cope with the child’s fears and subsequent behaviour. Therapy can help children to understand their emotions and help them to process their experiences and learn better coping skills. Furthermore psychologists offer parents a better understanding of exactly what’s going on with their child, and how to deal with it proactively. Is it normal for small children to have fears? It’s one hundred percent normal for children to have fears. In fact common fears have been found to appear throughout a typical child’s development. Not only is it normal to experience certain fears, they’re also necessary as they can help to keep children safe from dangerous situations. Childhood fears are usually mild, short-lived and age specific. Naturally there are also fears that develop as a result of exposure to a fear-inducing object or experience. By addressing the child’s fears appropriately the development of a phobia may be avoided. When do fears become a problem? Children don’t always have the vocabulary or the ability to express themselves. Emotions such as anger, sadness and even pain might be interpreted as a fear. Fears can grow, become debilitating or develop into phobias if not appropriately addressed. The fear is out of proportion to the danger or threat. It can’t be reasoned away. It appears to be out of the child’s control. It leads to the avoidance of the object or situation. 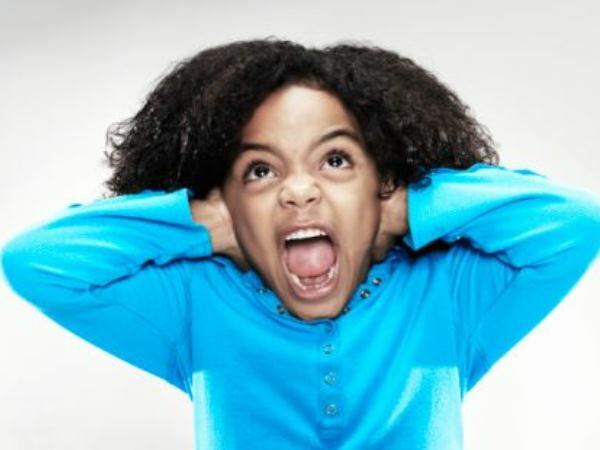 When a child starts to generalise; for example they were originally frightened by a specific dog’s bark, which extended to all dogs then to anything fluffy and so on, then the fear has gained control and needs to be addressed. Something else to bear in mind is children with sensory sensitivities who may for example express fear of a vacuum cleaner when it’s actually the noise the vacuum cleaner makes that’s hurting their ears. While having fears is a natural part of development being fearful doesn’t have to be. By modelling good coping skills, listening to your child and responding in an empathic and proactive way your child can overcome their fears and face life’s challenges with a positive outlook.